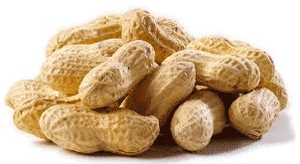 You can reach the gift community for peanuts! The Gift Business Insider Community is the place where they congregate. Over 1000 ACTIVE members strong and growing And we invite you to build a relationship with them through our Facebook group, through our newsletter, and through our magazine. Best of all — You don’t have to break the bank to do it! Our prices will fit any budget. Our goal is not to make a lot of money from our vendors and suppliers but to help our members discover those who provide value and integrity to our industry. All magazine advertisers receive a FREE Featured Listing (275 px wide x 150 px high) Display ad as well as a detailed listing in the sidebar of our Success Express articles blog. All advertisers have the opportunity to include information about your news and specials in our monthly magazine, monthly newsletter, and Facebook group. Download the Gift Basket Business Insider Media Kit 2018 and be surprised.